You may have seen that I recently popped into Lush and stocked up on a few Christmassy bits (haul here), something that I couldn't wait to get my hands on was the NEW Yog Nog Bath Bomb, now I say new but you may be familiar with the Yog Nog scent if your a fan of the soap which Lush have had for numerous years at Christmas time, well because of it's popularity they have now made a bath bomb in the soaps honer and my goodness its amazing! 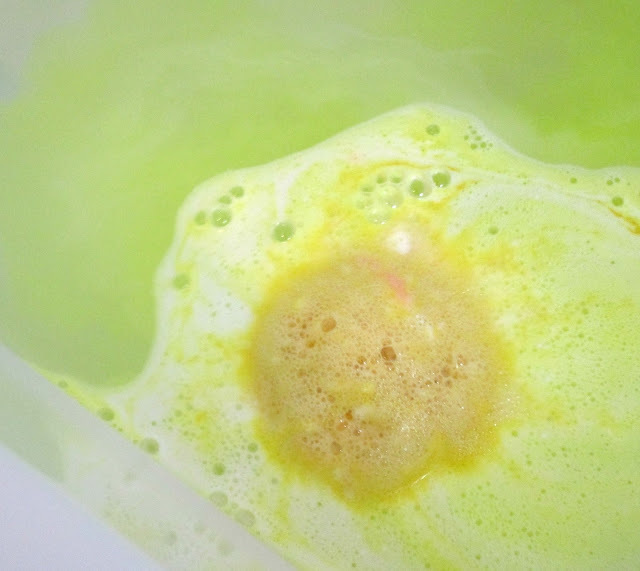 The Yog Nog Bath Bomb has become one of my absolute favourites in terms of scent and how it makes my skin feel, its made up of Clove Bud Oil which is spicy and sweet which gives it that warm Christmassy vibe but also has a slight toffee sweetness to it and it just smells like something you'd honestly want to eat, the Clove Bud Oil is also great for stimulation and helps boost circulation and will really warm you up when your feeling cold on a winters evening and left me feeling all toasty. Yog Nog also contains Ylang Ylang which is calming and relaxing so it's great after a long, tiring day and has a combination of Shea and cocoa butter which softens and nourishes the skin. 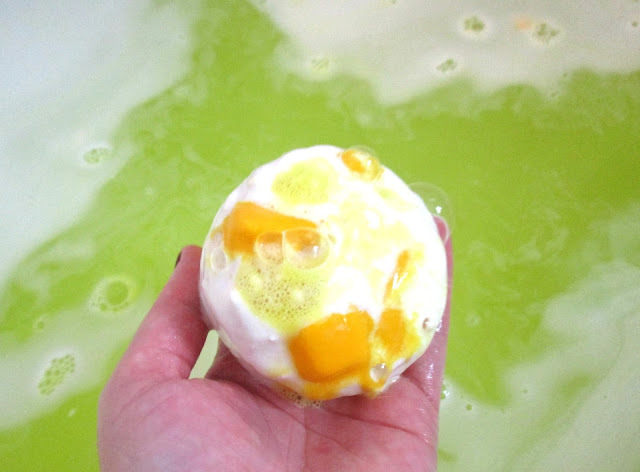 Whats amazing about the Yog Nog bath bomb is not only does the scent make you think your in Christmas heaven but as its fizzing away in the bath creating yellow creamy water it also unveils two bath melts that have been hidden within the bath bomb, these bath melts contain generous helpings of oils and butters so as you can imagine it left my skin feeling AMAZING and moisturised beyond belief! 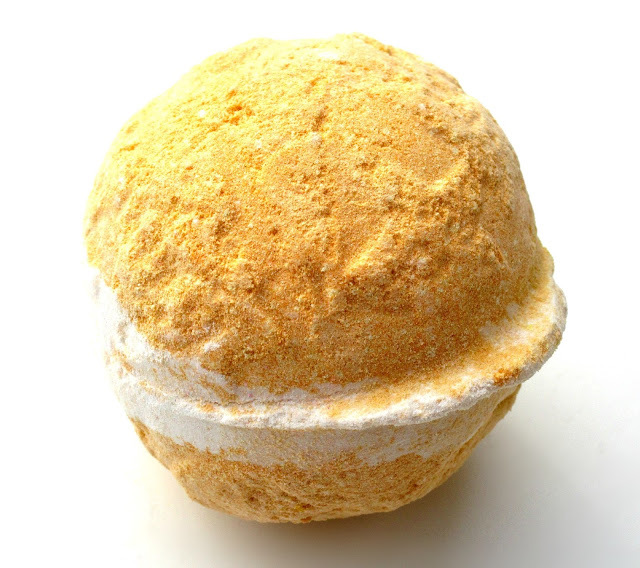 If you haven't gone into Lush and picked up the Yog Nog Bath Bomb yet then I'd highly recommend you get yourself down there and stock up on a few because it's just so festive but really beneficial for your skin during the cold winter months too. Have your tried The Yog Nog Bath Bomb yet beaut's? What did you think? I'd love to know. This sounds lovely! 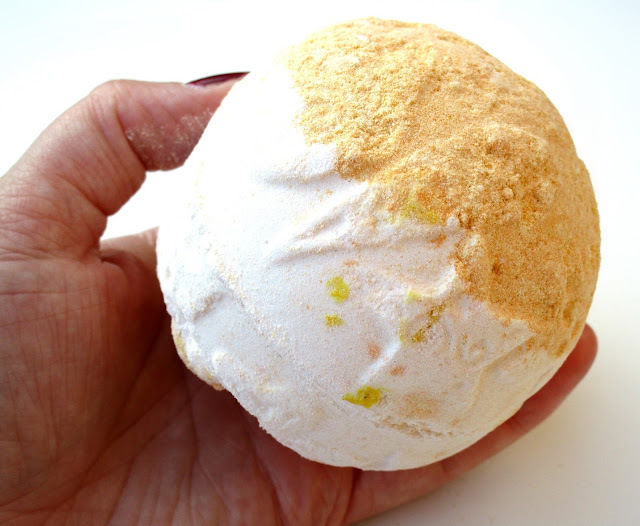 I think a trip to Lush is definitely in order this weekend!